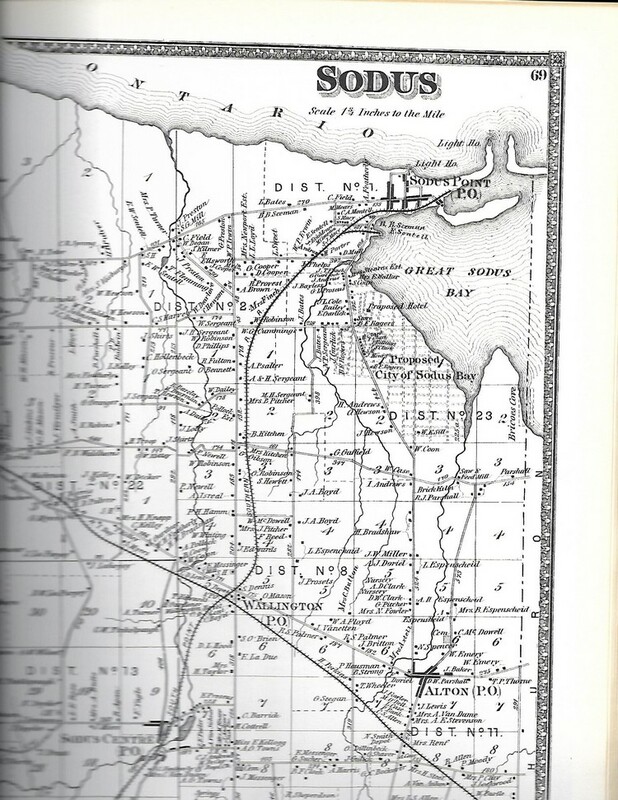 In 1880, Benjamin R. Rogers created plans for a “City of Sodus Bay,” to include a large hotel, for which only the foundation was laid. Having financial difficulties, Rogers abandoned the project. Dr. Anthony Walton Evans acquired the property, and left it to his daughter, Countess Anna E. von Hemert. The property became known as the Blackmar Farm. During the early 1900’s, the Lyons and Sodus Point Railway Company tried to secure a right-of-way through the Blackmar Farm to construct a rail line, steamboat dock, and coal trestle. The railway company was unsuccessful, however, in securing right-of-way easements from the countess. It was not until after her death that Blackmar Farm was sold. In 1922, the incorporation of the Sodus Bay Heights Land Company became the genesis for what was to become a great housing and recreational expansion on Sodus Bay.